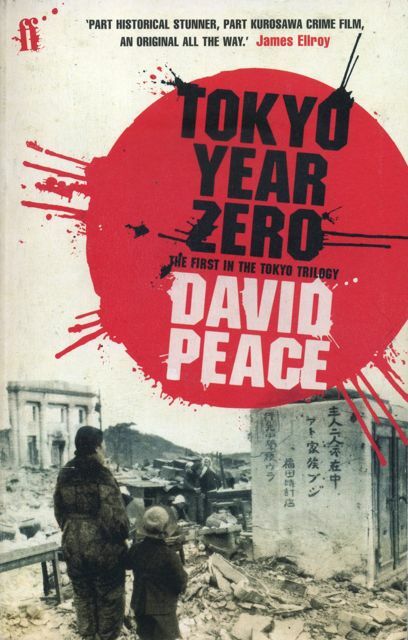 Published in 2007, David Peace’s Tokyo Year Zero, the first in a trilogy of novels, opens on 15 August 1945 with the discovery of a woman’s rotting corpse by one Detective Minami, minutes before Emperor Hirohito’s broadcast of Japan’s unconditional surrender. There follows a murky investigation into this and other brutal murders of young women in the dark and violent setting of post-war Tokyo, where no one is what they seem to be. The novel is based, Peace tells us in an author’s note, on a real case: one Kodaira Yoshio was executed in 1949 after confessing to the rapes and murders of ten women. Peace also lists many works of fiction and non-fiction, as well as films and music, on which he drew to write this novel. 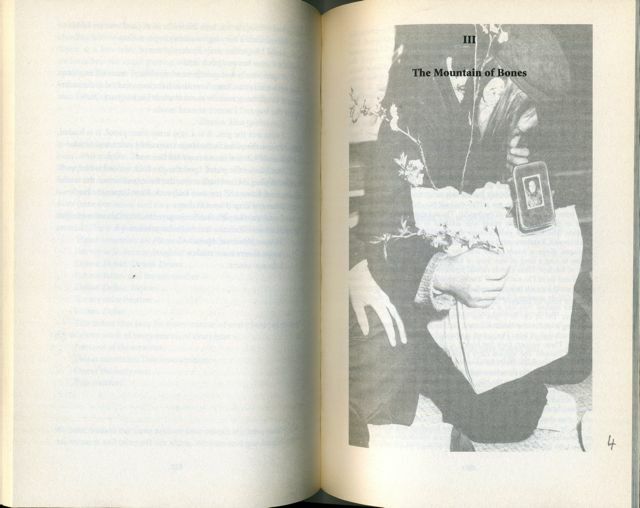 Perhaps it is because it is based on factual events that Peace decided to include four black-and-white photographs in the novel (the pictures below are from the 2008 paperback Faber edition). Only one of these pictures, however, the second, is credited, to the American photographer Horace Bristol: it shows, it seems, a “pan pan streetwalker”. The other photographs show 1) three boys with their heads bowed down and one boy kneeling on the ground, 3) two (American?) soldiers (?) on a bridge looking at or expecting something from (?) two (?) people standing and one or two men (?) sitting on the bridge, and 4) a young girl (?) wearing a cap holding a portrait of her (?) mother (?). It’s almost impossible to know what these photographs are really of, or where they were taken, or when, or who these people are, or what they are doing. Assuming that they are real or truthful (in the sense that they were taken in post-war Tokyo) this does not make their presence in the novel any clearer (which isn’t to say that I think they should have been removed). But the question remains as to what to do with them. Although I don’t quite know what to do with them, I think they deserve at least to be mentioned. Indeed, I read through a number of reviews – accessed through the wonderful Complete Review – to see if I could find any information on these photographs or their role in the book, but I found nothing. More than that, of the following 11 reviews, not one of them even mentions the photographs: The Washington Post, The Village Voice, The Telegraph (two reviews), San Francicsco Chronicle, The Observer, New Statesman, The Independent, The Japan Times, The Scotsman, The Austin Chronicle. And when they are mentioned, they literally get little more than a passing mention: “Research has clearly been done: the book includes a useful map, photos and much savoury detail” (which is taken from a review in The Guardian). 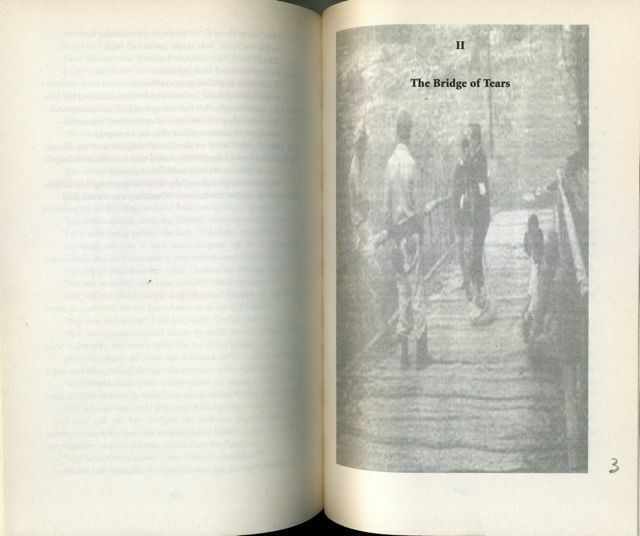 This is in no way a critique or a reproach; it’s just another way of raising the question as to the place of photographs in fiction: why are they there if readers fail to see them? 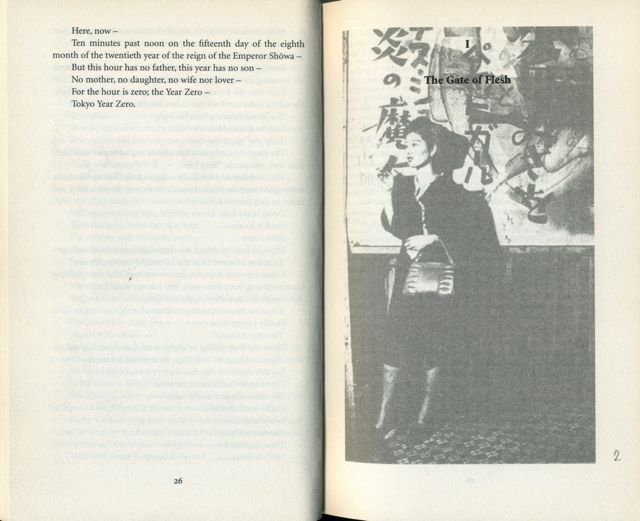 This entry was posted in David Peace, Picture novels and tagged David Peace, fiction, photography, picture novels, Tokyo Year Zero. Bookmark the permalink. The pictures are to illustrate the section titles. 1. taken during the Emperor’s speech of surrender. Man standing at back is wiping his eyes in grief. 2. woman doing what it takes to survive, in this case prostitution. 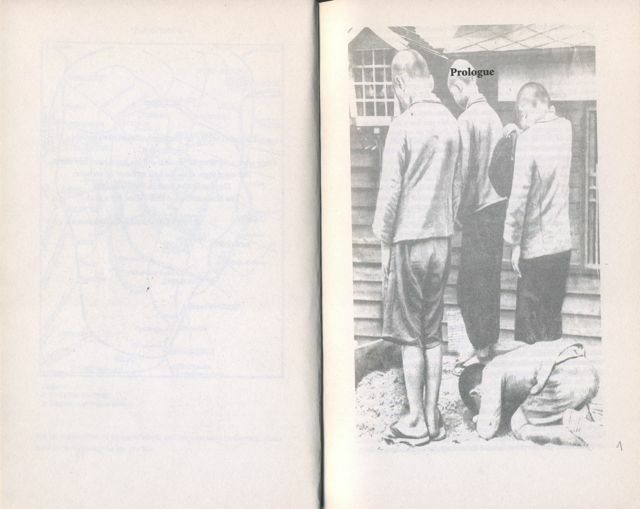 3. probably GIs, Japanese police and the boys or young men caught for questioning. Only #3 is the mystery.